Rails for military railroad, Alexandria, Virginia. 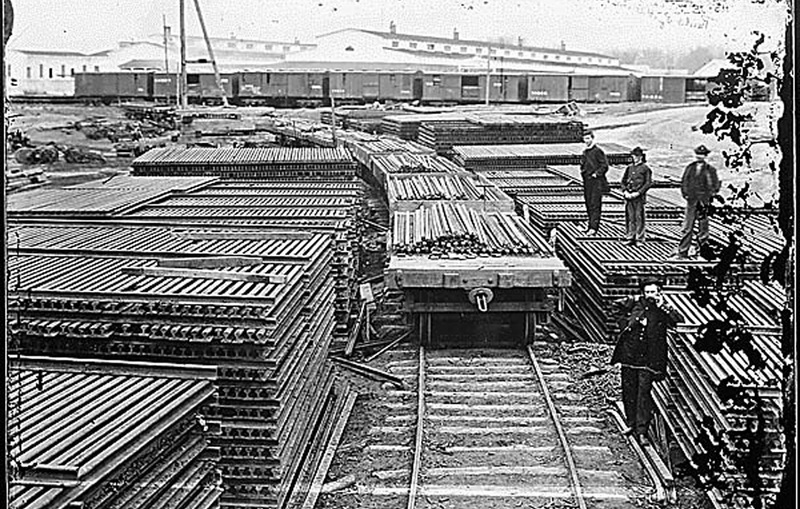 Rails destined for military railroads. Rails destined for military railroad. Source: Rails for military railroad. Publisher: National Archives and Records Administration, Records Group 111: Records of the Office of the Chief Signal Officer, 1860-1982. ARC Identifier 528895.